13WMAZ/YouTubveThe aftermath of a tornado in Crawford Country, Georgia. 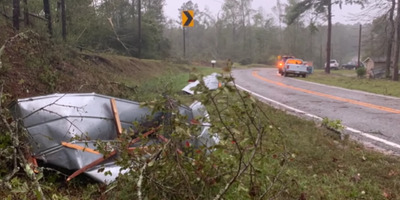 Associated Press reported several tornadoes have been spotted by local news channels – including in Clay and Sarasota counties in Florida, and Fort Stewart, Georgia, on Wednesday. 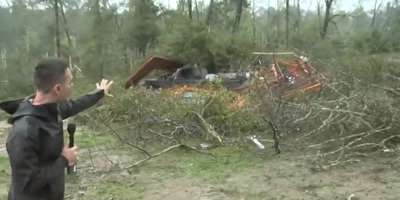 NBC 11 Alive/YouTubeThe wreckage left by a tornado in Crawford County.